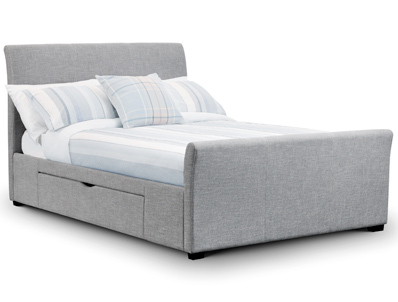 The Capone is a new light grey fabric bed frame from Julian bowen that has been finished in a l weave fabric and that has 2 strong free running under bed drawers in the frame ( 1 on each side). This new and stylish bed frame has a sloping back headboard and a sloping forward footboard and is available in 2 sizes double or king size and is supplied with a sprung slatted base. 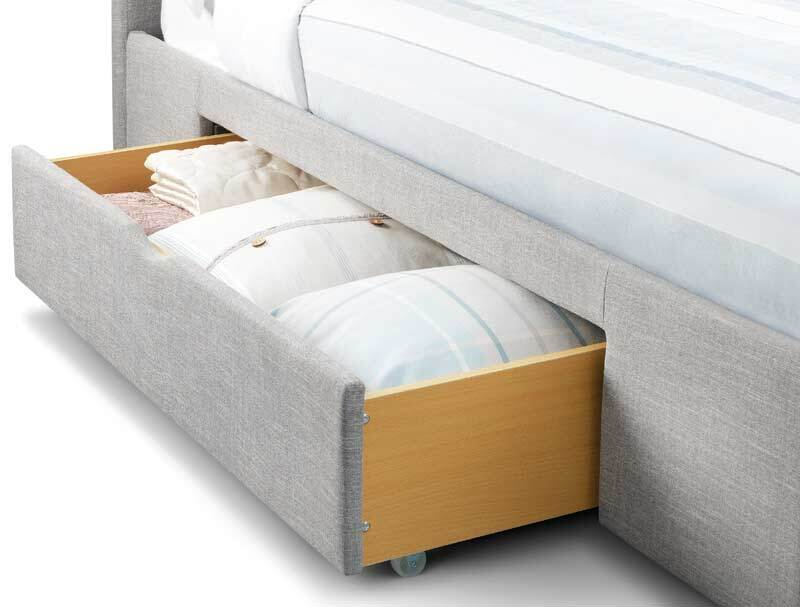 This bed frame is due in to the united kingdom early march and will be delivered direct from Julian bowens own dedicated home delivery team. normally within 7-10 working days to most postcodes free of charge . Some postcodes will take longer and may incur a small delivery charge.